theadventuresoftillyandmabel | Two young Sprockers meeting life head on! Once upon a time there were three spaniels. Two spaniels were kind of heart and shared willingly with all. Whereas one spaniel had the grievous sin of coveting. Now it came to pass that one day in August they partook of a walk around Merrington Green. Much fun was had, and along the path a tennis ball was discovered in the long grass. The coveting spaniel, as was her want, claimed it as her own. The generous spaniels accepted this and went along their way. All was well. It also came to pass that, further along the path there layeth another tennis ball abandoned and alone. The coveting spaniel decided that, as was her want, this also was her tennis ball, and she showeth great determination in endeavoring to get it into her mouth along with the first. All was not well…her mouth was not big enough. The generous spaniels saw her endeavors, and, as they were kind of heart came to her rescue, with the older of the two kindly picking up the second ball and carrying it for her. This vexed the coveting spaniel exceedingly, upon which she dropped the first tennis ball and proceeded to chase Tilly around a tree. And there came a small brown spaniel. She saw the first ball abandoned along the path. As she was somewhat kind of nature, but not very, she grabbed the first abandoned ball and shot off like a rat up a drainpipe. The coveting spaniel, now ball-less, vexed exceedingly sore, and complained loudly in a very annoying high pitched tone. And the moral of this sad tale…a ball in the mouth is worth two in the grass! 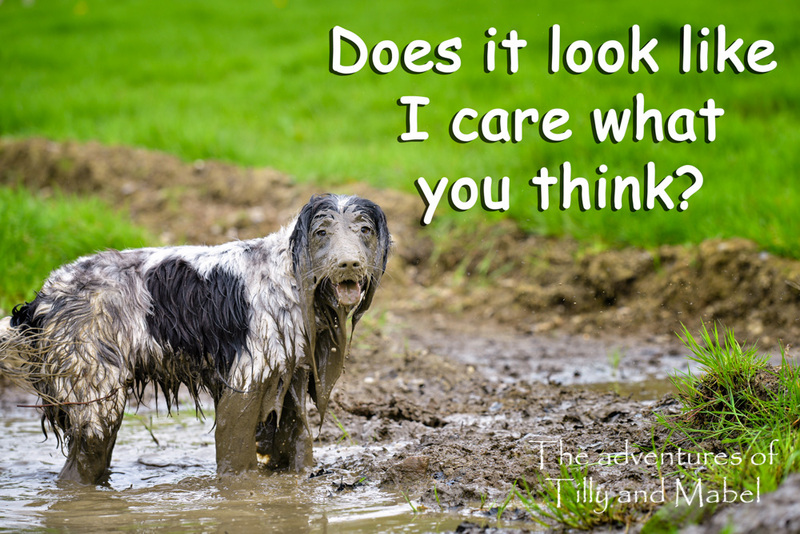 This entry was posted in Tilly and Mabel and tagged countrystyle gifts, dog, dogs, fun, funny, humour, spaniel, springer spaniel, sprocker, uk, waiting at the door on September 3, 2018 by Jean. 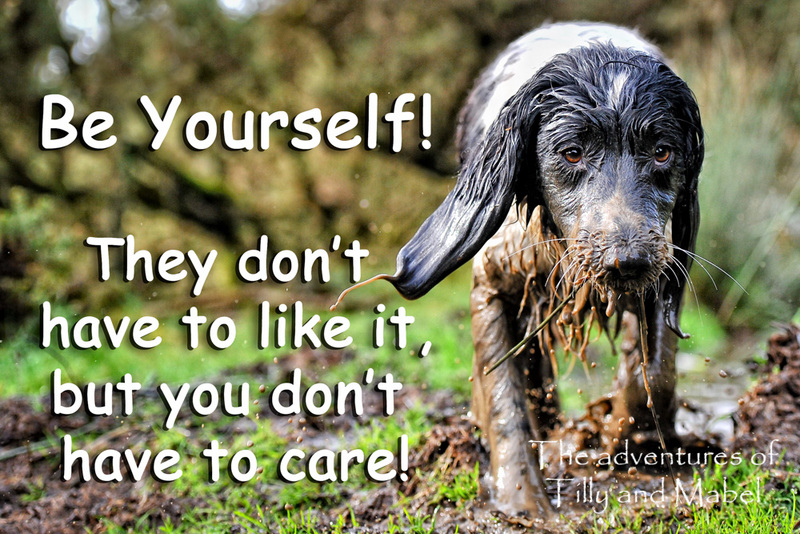 This entry was posted in Tilly and Mabel and tagged animal, bubbles, cocker spaniel, countrystyle gifts, dog, fridge magnet, fun, funny, humour, pet, play, puppies, puppy, sister, spaniel, springer, springer spaniel, sprocker, sprocker spaniel, uk on January 24, 2016 by Jean. 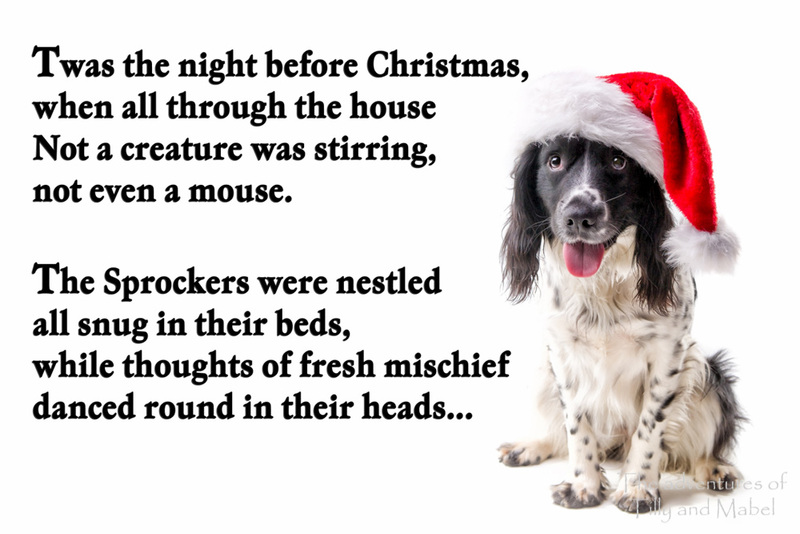 This entry was posted in Tilly and Mabel and tagged Christmas, cocker spaniel, countrystyle gifts, dog, fridge magnet, fun, humour, pet, poem, puppy, springer, springer spaniel, sprocker, sprocker spaniel, uk on December 24, 2015 by Jean. 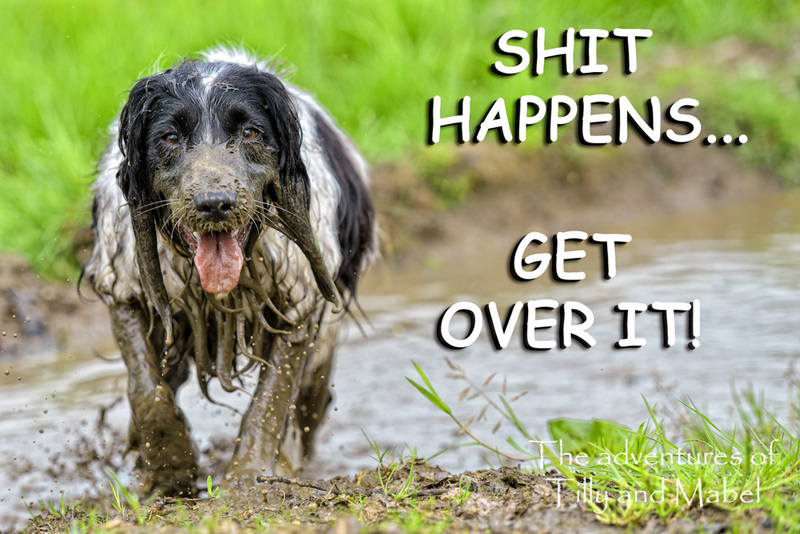 This entry was posted in Tilly and Mabel and tagged Christmas, cracker, dog, fridge magnet, fun, funny, pet, share, spaniel, sprocker, sprocker gift, sprocker spaniel, tilly and mabel, uk on December 22, 2015 by Jean.